Julian Julien is one of those artists able to fill their music with "feelings". This sequel to Terre is classified as jazz- rock, but it gives me the same sensations that comes from listening to Claude Debussy. The "Prologue" sets up the mood which may appear dark, initially, but it's dreamy and ethereal, like fixing a fire and fell hypnotized. If so, "Terre II" is like waking up in a different land. I imagine the landscape of the cover picture. The Bass clarinet riff is remarkable. The tracks from Iris I to Iris VI are defined as "interludes" by the composer, but to me they are more than this. I can hear a Floydian influence, too. "Ailleurs" Reminded me a bit to Lucia Hwong's "Secret Luminescence" for the mood and the instruments, but instead of the Asian landscapes I think to the last stanza of Rimbaud's "Le Bateau Ivre", the dark and cold water of a puddle in Europe. Another Iris then comes. It's excellent with its sort of heartbeat and the noise in crescendo. Then Iris III. Why are they called interludes (by the artist himself)? They are well developed tracks, surely there's more happening in the couple of minutes that every of them takes, than in many "electronic epics". "Un Attente" is explained by the author as a person, man or woman, waiting for the answer of a girlfriend or a boyfriend. The obsessive percussion on which piano and cello build the melody give the idea. This is the first track with vocals, intended as "dumb singing". Slow and sad, it makes me think, with the obvious differences, to The Snow Goose. The vocal armonies are intriguing. Another interlude: Iris IV. Not just an interlude for me. The screaming sax gives life to an excellent jazz piece. The composer says "Doudou" is about Childhood's End. The sadness of living something behind, maybe... The sound of bells reminds to a musical box. Itìs like an alternance of looking backward and forward. Honestly I wouldn't be able to interpret the music in this sense without Julian's suggestions. Iris V lightens the mood opening the way to the excellent "Non-Sens". Julian Julien says that he's got the inspiration from a picture of graffiti on a wall. Nowhere to go, no way out, and a thought to the Greek people in their deep echonomical crisis. With this subject I would have expected a track full of haste. Instead, the music is introspective and dark. I hear similarities with some parts of Vangelis "Heaven and Hell" but the dreamy atmoshphere brings Debussy again to my mind. The trumpet here deserves a mention. Really a great track. The last Iris, the 6th, made of bells like Balinese music, then the final: "John Barry". I think it's the composer of the famous James Bond's themeother than a huge number of sountracks for cinema and TV. The kind of sounds used seems to confirm it. A hommage to the composer, nothing like Bond, anyway. This is "compact" album. It can be enjoyed like a single suite even if all the tracks retain their individuality. Arrangement and production are excellent and if one is in the right mood, it can be perfect: I'm lazying in a dark December afternoon what can be better than this? 4 fully deserved PA stars and one of the best things I've listened to in 2015. Par ailleurs, Julian Julien s’est entouré de musiciens tous plus talentueux les uns que les autres : citons entre autres Rémi Dumoulin de l’Orchestre National de Jazz à la clarinette basse et Médéric Collignon au cornet sur plusieurs des plages. Ce dernier ne pouvait que s’associer à cette aventure, lui qui aime tant exploser les frontières ; et des morceaux comme « Iris III » et surtout « Iris IV » ou « Non-Sens » sont pour moi des petites merveilles. Seul le dernier morceau « Mr John Barry » se détache de cet ensemble très cohérent, pour un hommage à ce compositeur britannique de musique de film admiré par Julian Julien ( connu en particulier pour la musique des James Bond jusque dans les années 80, mais aussi la musique de Out of Africa ou Danse avec les loups). C’est comme un petit pied de nez aux puristes où les saxophones de Michael Havard s’en donnent à cœur joie. Julian julien - Terre II - Jazz from Zheul! 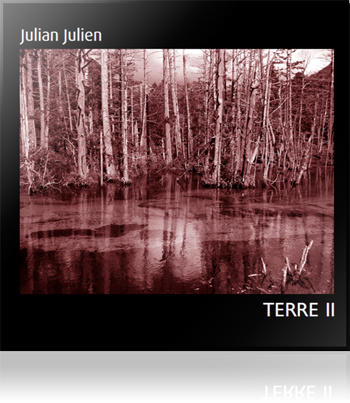 Julian Julien's, 2015, "Terre II" displays entirely why do the modern Jazz/Rock/Fusion styling was included in a Progressive Rock page like this one. From the very beginning to its last seconds this release projects musicianship of a higher level. Its compositions are friendly (prog like friendly, of course) but not by condescending their musical idiom, opposite to that they do so by being daring, deep, focused, experimental and joyful altogether. The minimum use of "allowed cliches" to sound modern or prog is quiet welcomed. Its richness in instrumentation provides a refreshing start for each composition to detach itself from its predecessor, as they also construct different musical directions, sometimes Big Brass Band like, sometimes Prog/electronic like environments , others Post-Jazz tainted, others Zheul darker and mysterious or some Rock in Opposition like constructed and other subtle and non-stop pleasurable surprises. A breeze of healthy new air that trascends its "taggins" by being original in its musical language and that my friend, in this world, is pure-gold. Do not deprive yourself from this earthly pleasure! Franskmannen med det temmelig likelydende for- og etternavnet er ute med sitt tredje soloverk. Som alltid fra frontmannen i zeuhlbandet Fractale er det rimelig subtil progressive jazzrock som er på agendaen. Denne gangen har Julien utvidet sin vilje til å eksperimentere og dyrke ny musikalsk mark. Det høres ut som et smart og klokt trekk for meg. Klokt trekk og i alle fall spennende er det at «Terre II» er inspirert av filmregissører som Kubrick, Antonioni og Fellini og litteraturen til José Carlos Somoza, Richard Ford, Olivier Adam og Colum McCann. I tillegg så har Julien samarbeidet med dyktige fotografer fra flere land, og invitert til assosiasjoner og en sammenhenger mellom musikk og bilde/grafikk. «Terre II» er et langt over gjennomsnittlig ambisiøst prosjekt som rimelig vellykket lager et «soundtrack» eller på bedre norsk, film lydspor av nevnte fotografers bilder. Skiva klokker inn på litt over timen, og det er diverse spennende progjazz landskaper som presenteres. «Terre II» er et mer klangfullt verk enn forgjengeren, og det alterneres mellom frijazz jam og ambient filmaktig musikk. «Prélude» er en virkelig vakker og appetittvekkende start på skiva. Dermed er startskuddet gått for en serie med musikalsk snacks. Snacks som er både smektende og smakfullt, og med rikelig variasjon, stor vilje til eksperimentering, mothaker og overraskelser. Skiva har også en klar dreining mot en rimelig flittig bruk av programmering, noe som lett kan ende med et musikalsk mageplask om det ikke utføres med omhu. Noe mageplask blir det slett ikke»! Julien har et klart konsept og er tro mot det, og er i tillegg en virkelig dyktig til å anrette musikk. En musikk som stort sett er instrumental, med unntak av den rett så oppfinnsomme låten «Une Attante» hvor Helene Argo har en flott ordløs vokal. Oppfinnsom og gjerne mer til er så absolutt også den seksdelte låten «Iris», som blant annet nennsomt tidvis er smaksatt med velsmakende krautrock krydder. I tillegg så tilkommer en varme, eleganse, og velformet ro i musikken som står skulder ved skulder med en mer episk instrumental bruk og improviserte soloer. Skiva er et stykke musikk med rikelig raffinerte atmosfæriske og stemningsfulle lydlandskaper som definitivt er minimalistisk men intrikate. Musikken byr også på en høyst vellykket sjangerslalåm og en variasjon som gjør at selv nesten uten vokal så er det musikk som lett setter seg i hjernebarken. Det kompositoriske og arrangementene er hentet fra øverste hylle, hvor også gjestemusikerne er hentet fra! Den korte låten «Iris II» bør være en smart plass å starte for de som vil bli kjent musikken til Julien. En rimelig futuristisk, uhyggelig og dramatisk låt som er potent men også med rislende spacevibber. Julien brekker oss opp verket med å levere en og annen disharmonisk linje her og der, og det frisker ytterlige opp ei fra før av spenstig skive. Ei skive med eklektisk ambient jazzprog som det er en fornøyelse å lytte til, og som gir denne anmelderen stor glede! Saxophoniste, percussionniste, programmateur, compositeur… Julian Julien publie en autoproduction un premier disque au titre éloquent : Tupperware et bibelot. Suivent Terre en 2000 chez Priskosnovénie, Strange en 2007 chez Cristal Records et, en 2010, Suranné, enregistré avec le septuor Fractale pour le label A bout de son, que Julien a créé pour produire sa musique. Terre II sort aussi sur A bout de son. Julien se charge de la plupart des parties musicales, mais convie également d’autres artistes pour étoffer sa palette sonore : la voix d’Hélène Argo, la guitare de Guillaume Billaux (par ailleurs ingénieur du son pour Terre II), la flûte de Siegfried Canto (également directeur artistique pour le disque), le cornet et la voix de Médéric Collignon, la clarinette basse de Rémi Dumoulin, les saxophones et clarinettes de Michaël Havard et le violoncelle d’Adeline Lecce. Julien signe les quatorze morceaux, plutôt courts (à l’exception de « Non-sens »). Dans Terre II, Julian emmène l’auditeur à la visite de sa planète musicale électro raffinée, à la fois mélodieuse et percussive. I have not been previously exposed to the music of Julian Julien before but I am very glad to make its acquaintance now. The latest, Terre II (self-released) is a set of compositions in a sort of ambient pulsating mode for a mid-sized ensemble that includes vocals, reeds, guitar, cello, percussion, keys, electronic ambiance, etc. There is improvisation involved (well done) and an overall cohesion compositionally that gives the ensemble a spacey consistency born of Julian's clear objectives. The music is harmonically based, colored sound that has a homogenized togetherness that is on the artist side of musics that might otherwise be classified as smooth or new agey. This is music too contentful to be relegated to that realm. Yet it has a kind of universal appeal that might attract listeners not often inclined toward the new. The writing for horns and cello stands out as singular. I find myself liking this music as I listen more. It is distinct; it holds its own. It is not what one might expect but a good listen puts you on its wave-length. Lend your ears to this one for a new wrinkle! French composer/saxophonist Julian Julien third album's title "Terre II" means more time's mark than continuity with his debut "Terra" released 15 years ago. Originally a soundtrack to series of works of different photographers from all around the world,it obviously has strong cinematographic feel. Surprisingly,Julian doesn't play sax but percussion here (programming is credited to him as well; there is guest sax player Michaël Havard participated in recording). 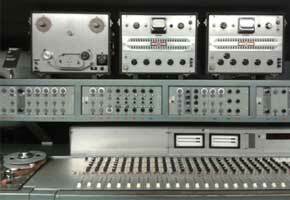 All music is very liquid,combining white and dark ambient with chamber pop, some elements of electronics rock and jazz. All elements are connected/mixed quite organically and in clever proportions - nothing dominates here and the music in whole flows free and quite logically. As with any good soundtrack, music builds atmosphere that almost doesn't require visual line, sound itself is expressive enough to stimulate imagination. At the same time, as with many soundtracks internal development isn't all that clear without visual line, so generally the music starts nowhere and goes same way. Differently from myriads more ambient-based works around, presence of live musicians on recording adds enough lifelines to save it from boredom. An interesting work for fans of soundtracks and possibly, exotica. It took many years but our fellow avid listener / composer of refined prog jazz inflected soundscapes Julian Julien is back with a new release, this time produced in digital format. During a breaking time from his solo musical adventures Julian formed the 'Cosmicadelic' jazzy collective / neo prog live band Fractal and published an album entitled 'Surann'. He also illustrates himself in the writing of a handful of classical scores for short movies of various genres (drama, thriller'). 'Terre' I was a solid exploration into orchestrated, melodiously and delicious groovy jazz rockin hymns with touches of micro-tonalism (classic minimalist / pattern music) and original, discreet Eastern elements. This new album is a more frantic orientation into free-jazz jam components with a vigorous inclination for music for films and short-form ambient impressionist-like music. The 'Iris' serie almost includes hypnotically seductive grooves with a discreet kraut-rockin flavor. For my ears the experimental-Electronic based textures are more obvious than on Julian's past releases and certainly that the softly cinematic touch has something to do with his recent compositional works for films. The general music tendency is warm, dynamic and eloquent and the typical progressive rock sound is well exposed in the use of arrangements, epic instrumental side and soloing improvs. 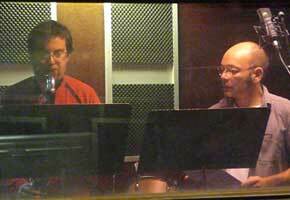 The album includes a bunch of interesting guest musicians active in the jazz musical spectrum but not only. 'Terre II' is a beautiful and inspiring release, recommended for fans of Codona, Collin Walcott, Steve Tibbets (for the multi-dimensional jazzy prog side), Cluster and Harmonia (for the krautrockin echoes), Wim Wertens and Michael Nyman (for the contemporary classic music side), Krzysztof Komeda (among others) for the cinematic approach. An eclectic ambient jazz - prog rockin album and a pretty good companion to 'Terre I' as well. Julian Julien, sassofonista e compositore francese, ci aveva dato dimostrazione delle sue abilità al sax in “Suranné”, lavoro datato 2010 del progetto “Fractale”. Il talentuoso transalpino mette da parte per questo nuovo lavoro le composizioni zappiane del passato recente, spostando il fuoco della sua ricerca verso una paletta di colori più vasta tra flauti, percussioni e sintetizzatori in un album che affonda decisamente più del solito le radici nel jazz. Il risultato è un viaggio tra scenari variegati in un paesaggio sonoro spesso sinuoso e ovattato, sempre coerente e credibile. “Terre II” non è un insieme di tracce ma un percorso che si evolve e si snoda secondo tappe ben identificabili: dalle melodie “dondolanti” della title-track alle improvvisazioni sassofoniste di “Ailleurs”, fiancheggiate dai virtuosismi alla tromba di “Non-sens”. Il concept che sta alle spalle di questo lavoro è suportato da collaborazioni con numerosi fotografi di tutto il mondo, mirato a creare un’opera musico-fotografica collaborativa. Fughe strumentali solistiche, seppur discrete e ben lontane da certe tediose dimostrazioni di estro, supportate da stratificazioni dal sapore folk richiamano certi lavori di Mike Oldfield, pur ben distanti dai sontuosi eccessi del leggendario compositore britannico. Il gusto progressive di Julian Julien, mai come in questo caso solo accennato, è tradito dall’uso esteso degli intermezzi “Iris” che interrompono i sinuosi scenari sopracitati come delle fredde lame, algide come le sonorità che offrono. A volte l’atmosfera prevale sulla sostanza: un episodio come “Une Attente” avrebbe probabilmente giovato di maggior concisione, ma nel complesso siamo di fronte a un lavoro che con i suoi 45 minuti offre sostanza e classe, scongiurando la pessima abitudine di farcire fino all’orlo un supporto ottico ormai sempre più anacronistico. Julian Julien torna a proporre lavori interessanti e più che godibili, attraversando le sue molteplici passioni. La sorpresa finale arriva quando il compositore scopre le carte omaggiando l’illustre collega John Barry nella conclusiva “Mr. John Barry”. Davvero un buon lavoro! Terre II, a must for folk who can appreciate intelligently composed and arranged music. Taking up the saxophone at the age of 9, Julian Julien has become a highly accomplished musician, having studied classical music before composing his own material, as well as playing in numerous jazz and rock bands. Terre II is his third solo album, and here he passes saxophone duties to the highly accomplished Michaël Havard, leaving him free to concentrate on composing, arranging and programming. Julian’s classical background mixes with his jazz sensibilities to produce an intriguing blend of the two musical styles, exemplified by the lilting opener Prélude, a piece that combines a flute-led madrigal with slinky jazz bass to great effect. This is the illustration to Iris III, which enters a new age territory that fans of Theo Travis’ work with Robert Fripp will be familiar with. The following Une attente surprises with its upfront wordless but nonetheless very poetic vocal, and is another imaginative slice of soundscaping. A feature of the music is the highly crafted expansive sense of silence within the music, which leaves vapour trails in the blue stillness it passes through. Minimalist yet intricate, the album is the work of a highly skilled craftsman. The trio of tracks Iris IV, Doudou, and Iris V make for an interesting sequence, with minimal abstraction underneath a horn venturing into free jazz territory leading into the melancholic electronica of Doudou, and ending with the retro-futuristic Iris V, which recalls the esoteric end of the synth-experimental Krautrock scene with its glacial serenity. It is interesting to note that the jazz and classical influences of the first part of the album are now seemingly left behind, as space debris floats through the cosmic drift of Non-Sens, only for those tropes to return for the main part of the tune, a gorgeous otherworldly piece of jazz-chamber rock that slowly becomes ever more confident, with some great cornet blowing from Médéric Collignon. It is fitting that an album of what is essentially soundtrack music ends with a tribute to the master of the genre, and apparently Julian’s favourite composer. Mr John Barry sounds exactly as it should, you don’t need me to explain! With Terre II Julian Julien has made a really good album that effortlessly transcends genres, is highly emotive and evocative, and is a must for folk who can appreciate intelligently composed and arranged music. Un excellent album qui se suffit à lui-même et dont la profondeur est apte à séduire sans peine tout amateur de voyage intérieur ! D'aprés son titre, Terre II se veut une séquelle à l'album Terre sorti en 2000, un disque éclectique pour ne pas dire inclassable fusionnant musique de chambre, jazz et influences diverses glanées dans toutes les parties du monde. Constitué de 13 morceaux relativement courts (tournant pour la plupart autour de trois ou quatre minutes), le répertoire de Terre II obéit au même syncrétisme en offrant des sons apaisés et évocateurs qu'on n'aura d'ailleurs aucun mal à coller sur des images (similaires entre autres à celle de la superbe photographie illustrant la pochette de l'album). Proches de certaines expériences développées autrefois par Brian Eno, Jon Hassell, ou Moebius et Roedelius, les textures de cette musique sont toutefois beaucoup plus riches que si elles n'avaient été conçues que sur des synthés. On ressent en effet la présence permanente d'instruments acoustiques comme la flûte, la clarinette ou le violoncelle tandis qu'au fil des plages émergent des improvisations diverses rappelant les liens étroits que Julian Julien entretient avec le jazz et la fusion (confer le disque Surrané de son autre projet Fractale). Ecoutez par exemple Prélude et le titre éponyme qui lui succède : ils constituent une pièce unique dont la solennité est tempérée par un rythme lancinant sur lequel se développent des interventions entrelacées de saxophone (Michaël Havard) et de clarinette basse (Rémi Dumoulin). L'homogénéité de cette musique est incontestable et témoigne du véritable travail de "direction musicale" réalisé par Julian. Le même principe est appliqué sur le magique Non Sens qui bénéficie en outre d'un fantastique solo de cornet par Médéric Collignon, lui-même grand prêtre des collisions musicales en tous genres. C'est toutefois la suite Iris, constituée de six sections réparties de manière disjointe sur le disque, qui constitue le véritable cœur de ce disque. Mystérieuse, sombre parfois, la musique suggestive s'ouvre aux grands espaces en installant une poétique onirique entre ciel et terre qui n'est pas sans rappeler certaines œuvres contemplatives du trompettiste Mark Isham. Et puis, il y a ce finale intitulé Mr John Barry, dédié au compositeur des bandes sonores de James Bond mais aussi d'Out Of Africa et de Macadam Cowboy, qui rappelle et confirme le potentiel de la musique de Julian Julien en tant qu'amplificateur émotionnel d'un visuel quelconque. Mais ceci dit, même sans image, Terre II reste un excellent album qui se suffit à lui-même et dont la profondeur est apte à séduire sans peine tout amateur de voyage intérieur ! Aujourd'hui nous avons entre les mains le nouveau disque du français Julian Julien " Terre II ". Julien prend en charge de façon exclusive les compositions qui constituent le répertoire de l'album, en plus d'avoir assuré les programmations de rythmes et atmosphères de clavier et de jouer des percutions ; il laisse de côté ses compétences au saxo et assume avec crédibilité le rôle de "chef d'orchestre ". L'ensemble instrumental qui s'associe dans l'aventure de " Terre II " est composé par le guitariste Guillaume Billaux, le flûtiste Siegfried Canto, le cornettiste Médéric Collignon, le clarinettiste Rémi Dumoulin, le saxophoniste Michaël Havard et la violoncelliste Adeline Lecce. Pendant un peu moins de 3mn, " Prélude " ouvre le répertoire avec une aura de majestueuse solennité dans laquelle le guide de la flûte et la présence exotique de la structure rythmique ajustent le cadre du bloc sonore. Opportune orientation musicale pour qu'émerge " Terre II " et que se développe une vitalité mélodique éthérée, formidablement riche en nuances, qui interpelle avec conviction : cette fois ce sont la clarinette et le saxo qui s'approprient le rôle du protagoniste. " Iris I " est le premier des six thèmes qui portent le concept d' " Iris " à l'intérieur du répertoire de l'album : cette première création est basée sur des atmosphères synthétisées qui ont quelque chose de mystérieux et aussi quelque chose de sinistre, bien que ce dernier facteur reste immergé dans une étrange incertitude. " Ailleurs " surgit pour instaurer un notable contraste face au morceau précédent et permettre de colorer tous les endroits et contours du paysage mental projeté en soi chez l'auditeur. La chaude gracilité avec laquelle les vents, les percussions, et les claviers s'enchaînent pour créer cette musicalité captivante, avec une intelligence musicale incommensurable font que ce morceau s'élève comme un zénith fondamental de l'album. Ensuite suit le dytique d' " Iris II " et " Iris III ", créations qui, pour être plus étendues que la première, jouissent de l'opportunité de montrer avec une plus grande méticulosité d'autres facettes de l'album : " Iris II " reprend l'essence mystérieuse d' " Iris I " et la transforme dans une démonstration de pulsations cosmiques mises en orbite au sein d'un système solaire devenu musique, de son côté " Iris III " plonge en plein dans des exercices d'introspection électronique, s'immergeant dans le cosmique d' " Iris II " et lui donnant un air plus lumineux grâce à la présence du saxo (filtré abondamment par des effets d'ordinateur). Il est vrai que ces deux explorations sonores servent ensemble comme inspiration pour l'humeur réflexive, et c'est pour cela que quand arrive le tour de " une attente ", l'auditeur est totalement disposé à se laisser porter par le lyrisme imposant qui déborde par tous les pores du céleste schéma thématique en cours. Le chant d'Hélène Argo se laisse détacher lors de l'ouverture et de la clôture du morceau, en soulignant, dans ses quelques interventions l'auréole poétique du morceau.
" Iris 4 " nous offre un exercice de tension sous une tenue éthérée minimaliste, avec une comète qui exorcise les pires peurs de l'égo : il est possible qu'on puisse ici apercevoir certaines traces du paradigme de l'ART ZOYD post 1982. " Doudou " explore la facette candide de la World Music pendant que la revêt le mystère nébuleux qui avait marqué les passages les plus obscurs du répertoire précédent ; ce point de vue sonore est pertinent pour préparer l'introduction de " Iris 4 ", dont les abstractions futuristes se situent à mi-chemin entre la tradition du Krautrock synthétisé (TANGERINE DREAM, CLUSTER) et le jazz électronique. Pendant presque 8mn, " Non-Sens " s'érige comme le morceau le plus long de l'album. Succédant à une longue introduction minimaliste de coupe cosmique, le noyau thématique du morceau consiste en une remarquable impro marquée par une cadence élégante qui nous renvoie au paradigme historique de WEATHER REPORT mais avec des airs modernistes à la TORTOISE : assumant à nouveau son rôle de protagoniste, la comète se focalise cette fois pour élaborer des lignes évocatrices, non exemptes de resplendissante nostalgie. " Iris 6 " continue avec le facteur Krautrock, cette fois, avec un esprit spatial métallique, pendant un peu plus d'une minute, avant d'ouvrir la porte du dernier morceau de l'album. " Mr John Barry " : son esprit est parti dynamique vraiment en accord avec le standard du nu-jazz, en plus d'afficher cette amabilité mélodique du TANGERINE DREAMS des débuts des années 1980. Julian Julien et ses compagnons/compagnes de voyage nous ont offert un très agréable itinéraire musical qui, pendant trois quarts d'heure, reflète un ample spectre d'images et sensations du monde qui nous entoure. " Terre II " est une agréable surprise au sein de l'actuel état de la situation du jazz-progressif mondial, et en plus de ça, il s'agit d'une œuvre d'exquise facture. Même si dans cette occasion spéciale, il a décidé de maintenir un profil assez bas à l'intérieur de l'ensemble, JULIEN doit continuer à être apprécié comme un talent maximum de l'avant-garde européenne actuelle. Nach einer etwas längeren Pause meldet sich Julian Julien mit seiner vierten Klangproduktion zu Wort. "Terre II" bezieht sich schon im Titel auf das im Jahre 2000 erschienene "Terre", und in der Tat gibt es gewisse klangliche Ähnlichkeiten. "Terre II" setzt den mit dem Erstling beschrittenen Weg in akustisch-kammerrockig-weltmusikalisch Gefilden fort, weist aber gleichzeitig eine sehr deutliche Elektronikkomponente auf. "Terre II" ist, so der Künstler, zudem von diversen fotographische und literarische Kunstwerken inspiriert (ohne dass das im Beiheft der CD weiter ausgeführt oder spezifiziert wird). Elektro-akustische Klangbilder sind hier also zu hören, musikalische Erzählungen und impressionistische Tongemälde. Jazz und Rock bilden die Grundlage der Musik, oft kammerprogressiv verwoben, oder sich in ausladenden Postrockgefilden bewegend. Dazu kommt viel Elektronisches. Im Vergleich zu "Strange" gehören dazu aber keine Beats und Rhythmen aus der Dose. Eher ruhig und schwebend, mysteriös, rund und melodisch wird in elektronischem Sound gemalt. Die sechs Nummern von "Iris" bieten meist reine elektronische Klänge, ambientartiges, düstere Gewebe, kosmisch-spacige Gespinste, lärmendes Dröhnen (in "Iris II" z.B.) oder sperrige und freiformatige Tonexkurse, die nur selten dezent rhythmisch vorangetrieben werden. Ab und zu eingeworfen werden, mitunter stark effektverfremdete Bläserklänge (Trompete und Sax), die zudem eine leichte Ethnoatmosphäre erzeugen, die ein wenig an die ECM-Produktionen von Niels Petter Molvaer erinnern. Das lange "Non-sens" geht in eine ähnliche Richtung, während die anderen Nummern etwas jazzrockiger aus den Boxen kommen (das Titelstück z.B. ), oder recht eigene Gemenge an Akustiklang mit Elektronischem bieten und sich irgendwo im Grenzgebiet von Jazz, Jazzrock, Postrock und Kammerrock aufhalten. So richtig rocken tut es allerdings kaum (am ehesten im abschließenden, offenbar dem Filmkomponisten gewidmeten "Mr John Barry", welches eine Art von Brass-Jazz-Ethnoprog bietet). Eher gleiten die Klänge dicht verwoben, voluminös, sehr farbig und klangvoll dahin. "Terre II" ist eine ziemlich runde und gelungene Angelegenheit. Wer abwechslungsreiche Vermengungen aus Jazz, Jazzrock, Postrock, Kammermusik und Elektronischem schätzt, der sollte dieses, die eben genannten Ingredienzien auf sehr eigene Art und Weise verbindende Album einmal antesten! With so much self-produced and self-released music coming out these days, there has to be some serious flotsam and jetsam piling up out there, which is a shame because not all self-released projects are thrown together indulgences. A great example of someone who releases self-produced albums that contain painstaking craftsmanship and a high level of composition is Julian Julien and his latest opus, “Terre II”. Like Julian’s previous albums, “Terre II’ features an interesting mix of mini-soundtracks, instrumental exotica, chamber art-pop, nu jazz and that peculiar form of French art-rock known as zeuhl. The main difference with “Terre II”, when compared to his earlier albums, is there is more use of ambience this time around, with many tracks being more about floating textures rather than more specific melodies. Whether this is good or bad is just a matter of taste, but despite a slightly different musical direction, “Terre II” still features all the careful craftsmanship revealed on Julian’s previous albums. Also, Julian’s use of ambience does not get overly fluffy, as many an ambient moment is topped with expressive, sometimes atonal horn solos. So many references come to mind when listening to Julian’s music, particularly those artists who know how to create a very personal atmosphere, for instance late 70s Brian Eno and Bo Hanson, Chico Hamilton’s 50s exotic chamber jazz, Brian Wilson and Les Baxter as well. Every song on here is like a miniature world to itself, but all the songs flow together to make an almost soundtrack effect. Some of the better cuts include title track “Terre II” with its jazzy sax solo, “Alleurs”, which features a lazy semi-classical melody orchestrated with flute and bass clarinet floating over an obstinate Celeste, and “Iris V”, which features buzzing synth drones and melodies over a driving hand percussion beat.